There are over 1,400 functioning satellites currently orbiting the Earth, but that number could grow exponentially if Elon Musk has his way. The entrepreneur, through his company SpaceX, has submitted an application to the Federal Communications Commission (FCC) to launch 4,425 satellites. The goal? 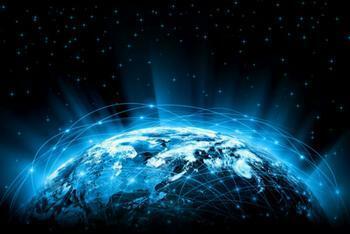 To provide high-speed internet coverage to the whole planet. Business Insider reports that the satellites are intended to orbit the Earth at altitudes ranging from 715 to 790 miles, effectively providing 1,300 miles of coverage each. SpaceX says their proposal will provide the global community with high-speed service of 1 Gbps; currently, users average about 5.1 Mbps, which is 200 times slower. “The system is designed to provide a wide range of broadband and communications services for residential, commercial, institutional, governmental and professional users worldwide,” the company wrote in its application. In its application, the company detailed a two-phase launch plan; the first phase would launch approximately 1,600 satellites at one altitude and the second phase would introduce another 2,825 satellites placed in four shells at different altitudes. While the full number of satellites will provide worldwide coverage from North Pole to South Pole, SpaceX says the first 800 satellites to launch will provide service to much of the world. “With deployment of the first 800 satellites, SpaceX will be able to provide widespread U.S. and international coverage for broadband services. Once fully optimized through the Final Deployment, the system will be able to provide high bandwidth (up to 1 Gbps per user), low latency broadband services for consumers and businesses in the U.S. and globally,” the company said. The company states that being cost-effective and reliable are main focuses for the project – all the way from production to the prices that subscribers will pay for the service. Each satellite is estimated to last between five and seven years before it begins to decay. However, the company says that it will be looking to periodically improve the satellites over the deployment period. SpaceX has stated that it will begin launching prototype satellites as early as next year, though the launch of the actual constellation of satellites will not be realized until the end of the decade, according to a BBC report.